It’s easy to get caught up in the romanticism of the “good ole' days." In the liquor industry, we actively try and do as much as we can the same way it was done a century or two ago, at least when it comes to the actual craft of making the product. Sure, some labor-saving machines increase production scale. And, don't forget the backend lifesavers like accounting software that keep you compliant with the man. But, we still use oak barrels and rackhouses instead of plastic vats and a glorified lab. One thing that wasn’t so good about the good ole' days is how distilleries approached the idea of safety. Many old distilleries were deathtraps that could have been part of the Hunger Games. There were open shafts sixty feet deep and exposed sprockets and moving machinery parts perfect for getting fingers stuck in. And fire safety? Let's just say if you were in a rackhouse that was going up in flames; your funeral is a bar-b-que. The Industrial Revolution wasn’t just about better machines and automation coming into use It was also about the centralization of production – thanks mostly to trains. Modernization meant that instead of several small distillery operations scattered throughout the hills, there could now be one big one to do it all. Growth and progress went hand in hand with the prevailing wisdom at the time, the bigger, the better. The new mindset, of course, required larger machines. Complicating matters, making production less expensive created more demand, which meant the distilleries had to make even more to meet it. A history buff I know was telling me that one of the hardest things to imagine about the past is how dark it used to be. Even those of us who live in rural areas still have the occasional security light buzzing at all hours. Not only that, there is an enormous amount of light from nearby cities that manages to edge out some of the darkness far out into the boonies. Back then, when it was dark – it was DARK. Inside many of these distilleries, it was even worse. Electricity was still a rarity in many parts of America even less than a century ago, and often all workers had to light the way was a kerosene lantern. (most types of machinery ran on steam, not electricity) Fluorescent and modern LED lights have spoiled us. In the bowels of a dark warehouse, mill, or distillery, all that stood between a man and a mangled arm or leg was dim light and deep shadows. 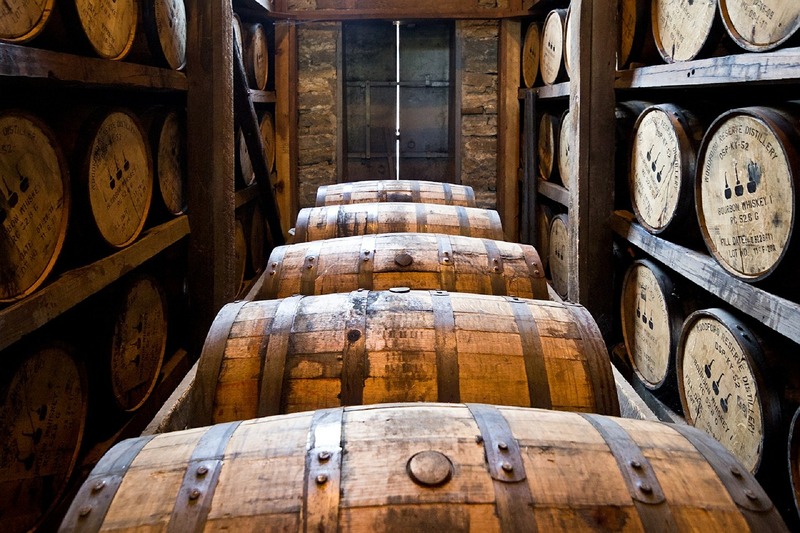 It would be nice to say that it was the kindness, sympathy, and concern that brought about the changes that have given us the safe distilleries that operate today, but that would be a lie. Many of the individuals who were maimed or killed in distillery accidents had to sue the owners. There wasn’t exactly worker’s comp back then, and in many areas of the country, it was manual labor or nothing. Being crippled or missing a limb was the same as not being able to read or being computer illiterate today. Many owners concluded that it was cheaper to create a safe work environment than it was to keep paying out to injured workers. Later we had laws and regulatory agencies like OSHA come along to make things safer. Let's have a toast to being able to work in safe distilleries. It's better for everyone because the last thing I want when I order two fingers of scotch is for there to be two fingers in it.